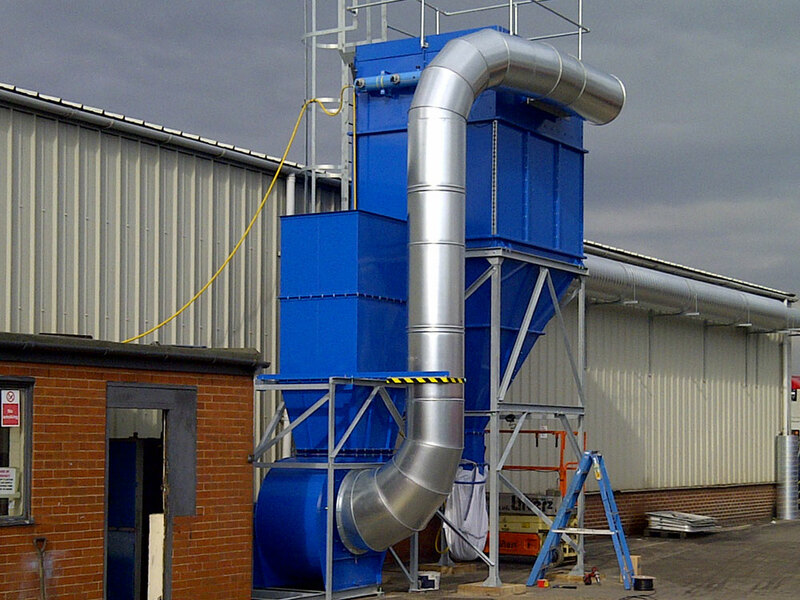 Cartridge filters can filter highly-contaminated air volumes in an extremely compact format. 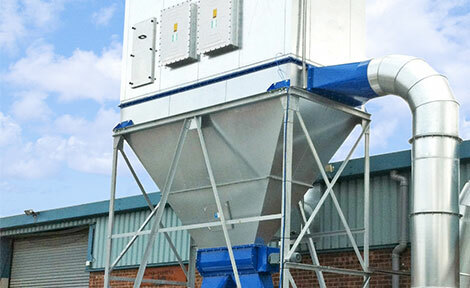 The dust-laden gases enter through the side intake of the dust collector’s hopper, under vacuum or pressure. The gases are then filtered through the cartridges and exit through the vents into the clean air plenum. The clean air can then either be channeled outside or re-circulated depending on the application. Our collectors have doors and a manual cam system that require no tools and allow for an easy cartridge change. They are also available in non-woven materials. Dustraction have an extensive range of filters which incorporate advanced technology Viledon filter cartridges. These cartridges are cleaned by compressed air making the system highly efficient. Cartridge filters can save up to 40% space in comparison with conventional multi pocket and tubular bag filters. The cartridge can be supplied with various treatments to suit many applications such as anti-static for explosive dusts. 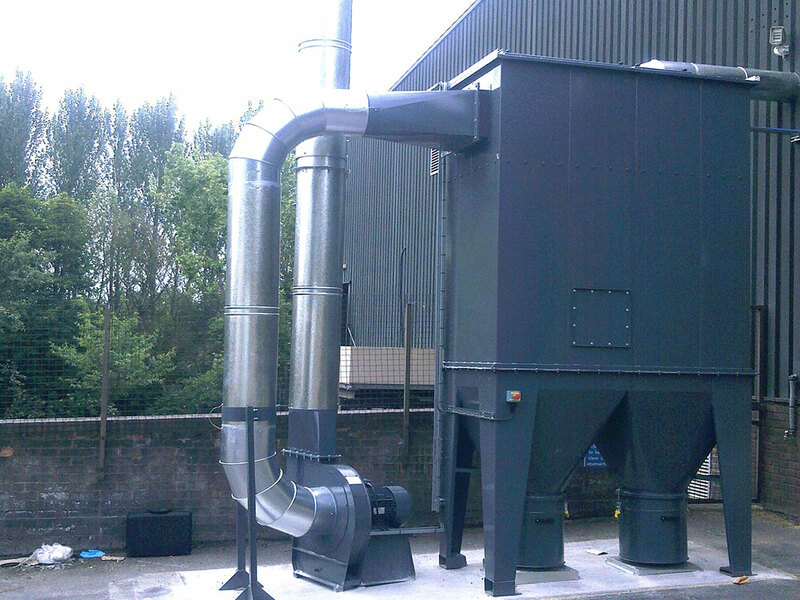 The filter can be designed for removal via the clean or contaminated side dependent on the design requirements. Dustraction completed a new extraction layout system for Truframe, the country’s largest fabricator of Liniar UPVC windows. The new Truframe installation is based around a Dustrax No. 27 WWRV filter. 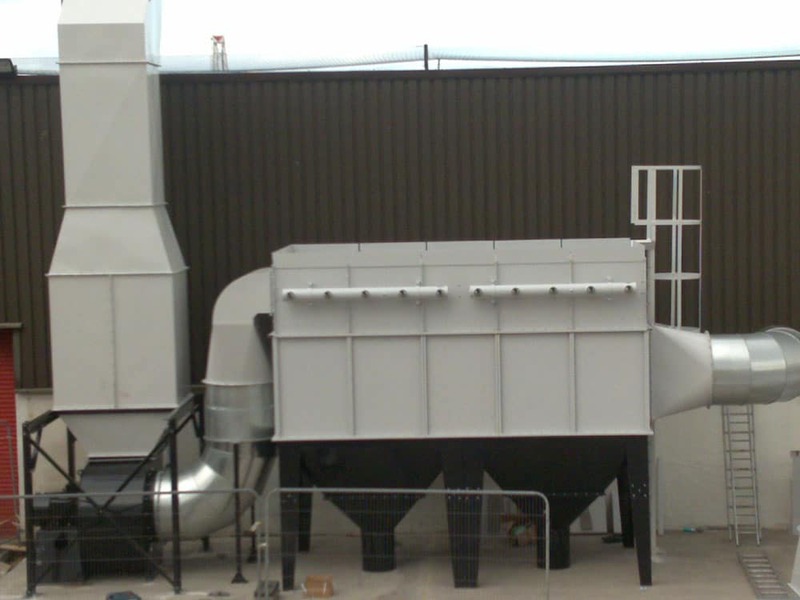 Waste is continuously transferred to the end of the hopper section by a floor-mounted high efficiency extraction fanset and is discharged via a heavy duty rotary valve airseal into two large capacity bulker bags for recycling.